Once again I find myself wondering what happened. On the surface this had the makings of an awesome feel good story. It's set at Christmas time a definite win with me. I love Christmas stories. We've got Justin who struck me as a rather likable character. Sadly his boyfriend has dumped him for someone else...ok, maybe not so sadly the guy was a cheating jerk. Justin's totally better off without him plus Sean who is Justin's best friend and his long-time one-sided (or so he thinks) crush is coming back home and staying with him. So Christmas time, a friends to lovers story...this is turning into a lot of win for me and then let's add in the pretend boyfriend part of the storyline. I haven't read a lot of pretend boyfriend stories but the ones that i have read I've really enjoyed as a matter of fact I just finished one by this author a couple of days ago and I loved it. Seriously it was over the top awesomesauce for me...sadly I have to say this one...not so much. It was ok but I just didn't get that melt my heart sensation this time and I seriously have to wonder if it was at least due in part to the fact that I didn't read this story, I listened to the audio book instead. I'm just not sure how much of that contributed to my disconnect this time around. I liked the narrator or at least I thought I did. The story is set in England the same as the story that I read just a couple days ago. I love England so for me this is yet another definite plus. I thoroughly enjoy stories that are set in different locals and England is one of my favorites. The narrator's British accent for me was perfect. It was distinct enough to give the characters voices authenticity and that ever important consistency and by this I mean that the characters didn't randomly lose their accent when they were speaking. It happens...honest. I recently started watching a television series and one of the main characters was suppose to have an accent only in spite of all the coaching and such when he was talking this accent would just randomly disappear, it was distracting and to be honest after a few episodes I was ready to stop watching the show. Luckily I think I might not have been the only one to notice this because he no longer tries to speak with an accent and even though it would have been more authentic if he had the accent it's less annoying to hear him speak without it rather than have it randomly disappearing. My point being consistency is important or at least for me it is and this narrator had it in spades. So here I am once again having read or rather listened to a story by an author that I really like, a story that pushes several of my buttons in a good way, a narrator who seems to have done a bang-up job and I'm feeling the like and I'm seeing why so many of my friends who read the e-book, when it came out last year, gave it awesome reviews and ratings and for me that's the heart of the problem I'm seeing it but I'm just not feeling it. 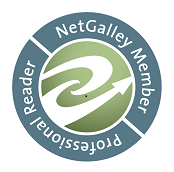 So for that reason I'm giving this one 3.5 you-seriously-need-to-check-this-one-out-stars because what didn't work for me may work for you like it did so many others. 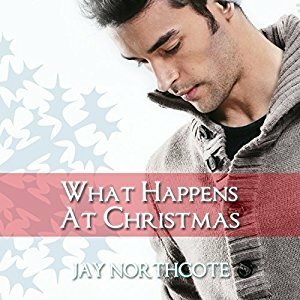 An Audiobook ARC of 'What Happens at Christmas' was graciously provided by the author in exchange for an honest review.